To complement our extensive range of tailored tops, Feminine Flair offers a made to measure trousers service. 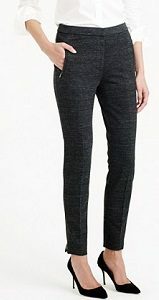 Tailored trousers are a must have for any women, especially for formal and office wear. Here at Feminine Flair, we understand that finding a comfortable, flattering pair of trousers can be difficult, thus offers a few beautiful styles which would be loved to be carried by you at work or casual.